The universe, man… it’s calling you. Like, just take a look at the stars in the sky at night, man. Like, it’s like a movie poster about your life. Because, they’ve always been there, from the first day you were born. So, really each day is like a new birthday, for your life, man. Whoa, man. That’s like some psychedelic stuff, right there. Maybe we should all just like, listen to some vinyl records in the basement and like, contemplate all the mysteries of the universe. But, man, you’re not planning on coming dressed like that, are you? You need to be chill and relaxed to contemplate deep stuff like that. Whoa, far out man. Far out. 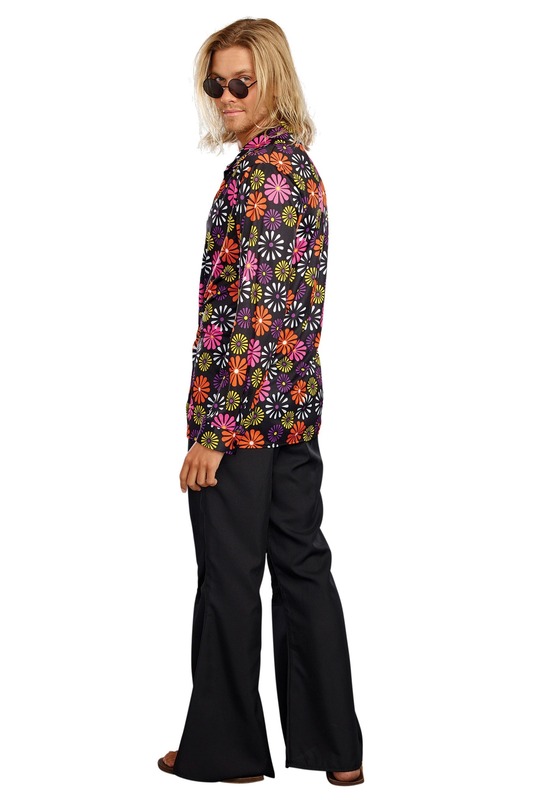 This Groovy Guy costume is totally the kind of threads you need to wear to put out a funky fresh aura. The dark shirt is a button up, which makes it comfortable and it totally won’t harsh your mellow. And it also comes with these totally awesome flower designs on it, which look sort of like fireworks exploding happiness all over your chest. It’s like, psychedelic vibes that you can totally wear. That’s not all though, dude. The outfit also comes with a rad attitude that will help you maximize your chill. That’s right, man. Maximize your chill. You could even add a pair of your own loose-fitting bell bottoms to really get the good vibes flowing. 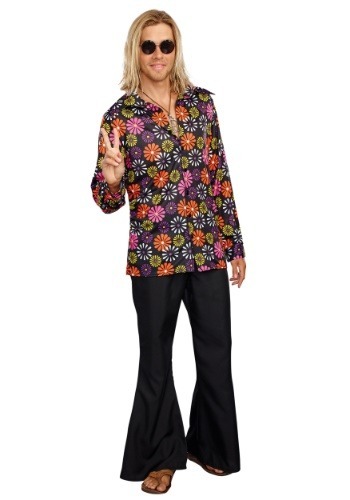 It’s great for anyone trying to become a happy hippie for Halloween. Whoa man, just look at that alliteration. It’s, like, blowing our mind! Zoinks!